To renew items that are currently checked out to you, first log in to your library account with your User ID (library card number) and P.I.N. Go to your account by clicking on the My Account link in the green Menu Bar. Once in My Account click on the Renew My Materials link to open the item renewal screen. Here you will see a list of all the items checked out to you and their due dates. You can select specific items to renew by clicking on the box beside them. If you wish to renew all your items click on the button beside, “Renew All.” Then click on the, “Renew Selected Items,” button below the list. You will then see a summary screen with all the items renewed and their new due dates. Click the OK link at the end of the list and you can continue searching the catalog or log out of your account. Most items can only be renewed 2 times. Always check with your local library for any specific rules. Patrons whose accounts have been blocked due to excessive fines or bills will not be allowed to renew their items and need to contact their local library. How do I request items from other libraries or request an item that is checked out? 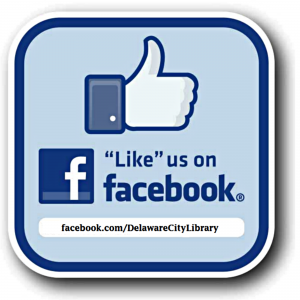 You may request items from other libraries in the Delaware Library catalog by placing a hold, on the item. Holds may also be placed on items that are currently checked out to other patrons. To place a hold you must first login to the catalog with you library barcode number and P.I.N. (If you do not know your P.I.N. you can ask for it the next time you visit your local library.) Once logged in search for the item or items you wish to have held. You can hold these items by clicking on the Place Hold button in the list of items or if you are in looking at a particular item, click on the Place Hold link on the left side of the screen. You will be taken to the hold screen. You must select the library where you will pick up the item from the pull down list of member libraries. You must select a library before finishing the hold process. Click Place Hold to finish. For more information about finding, using, and requesting materials, visit http://delawarelibraries.org/help/finding-using-requesting-books/.